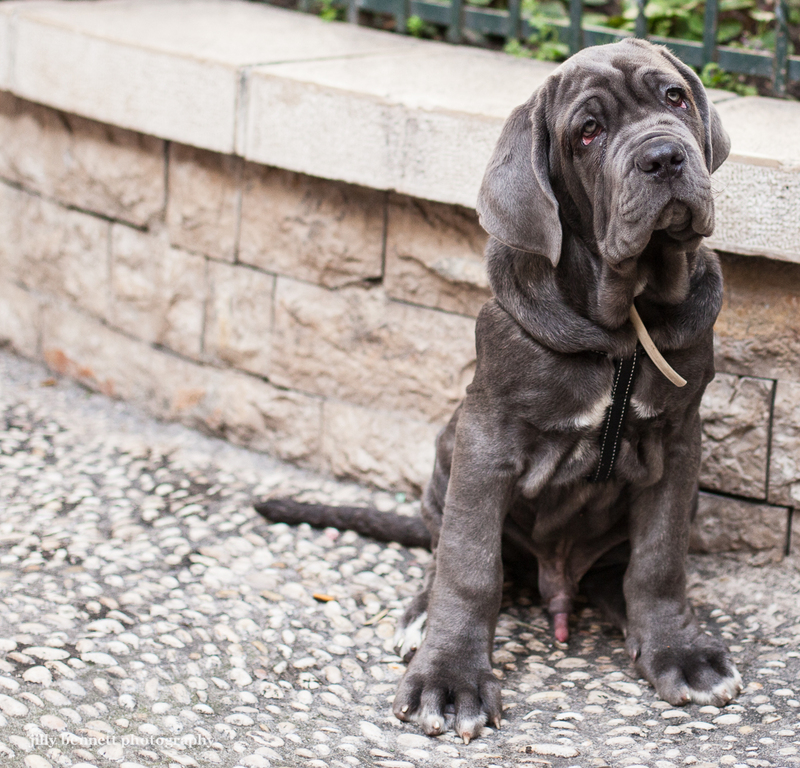 This is Hulk, a 3 month old Neopolitan Mastiff, who lives in Menton. He's pretty big at 3 months but will grow enormous and with all those folds of skin will need great care as he gets older. 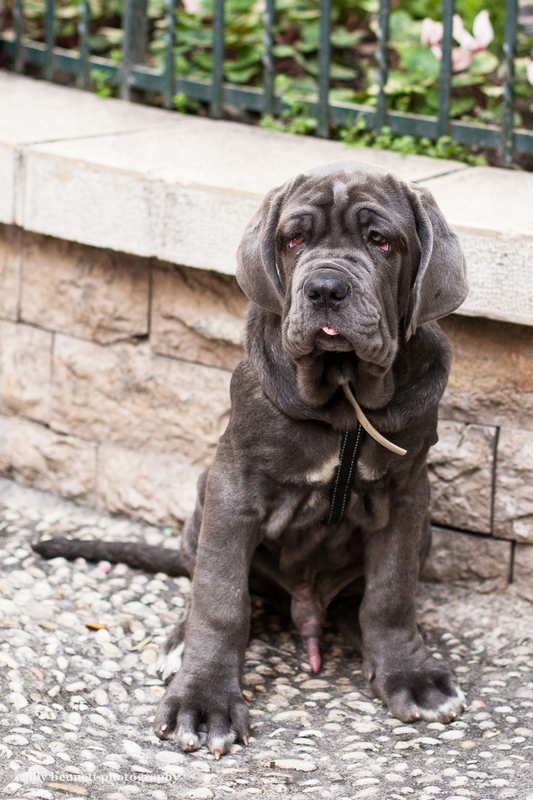 A Neopolitan Mastiff (or Italian Mastiff) is an ancient breed originally used to guard property and family due to their protective instincts and fearsome appearance. 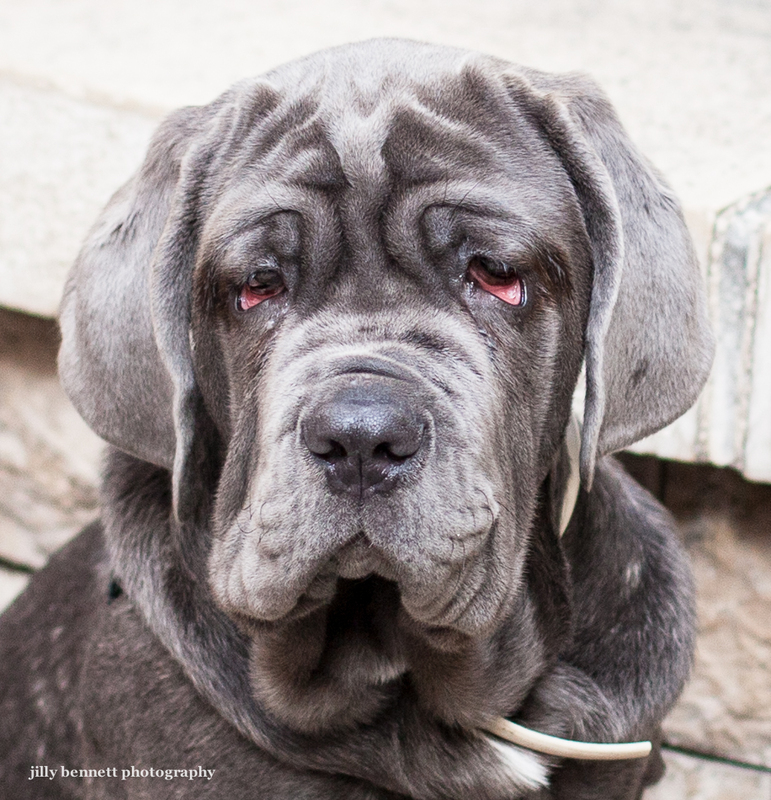 Fang in the Harry Potter films was played by a Neopolitan Mastiff. be still my heart. he's adorable, especially in the final shot. These breeds always make me smile; they look like worried old men. Tell me please; why do they need more care when they are older... caring for the folds or?? OMG - what a big dog! 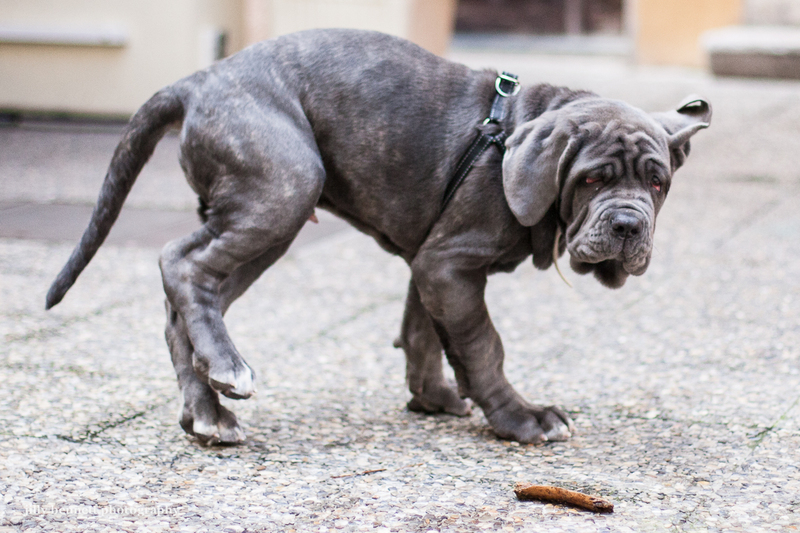 Kate, google the breed and you'll see the folds are incredibly and heavy so yes, they can get a lot of fungal infections in the folds. Also the eyes can give trouble too as the skin is pulled further and further from eye itself. An exagerated breed to be honest and not necessary that healthy. And doesn't he just look like an "old soul" already?! What a cutie!